Ximena precariously parked herself by a food stall, nibbling away at some cotton candy she purchased at said stall. She specifically requested that the conttony be half red and half blue to match her usual split color aesthetic that she was never seen without. After a moment she made her way to another stall that was selling really super cute keychains of various star themed pokemon. Ximena looked at the various keychains adoringly, she had to buy one! But which one? She scanned the table until she saw the one she wanted, the little Jirachi one! That one she wanted that one! She quickly snatched it up and slammed the money on the table before walking away to attach her new little cutie to her the keys. The hacker moved on, looking to hit up another game or some when something caught her eye, she looked down the long aisle of stalls. Exactly 20 paces north to her was a familiar figure, like a certain madame president she was currently working for. Ximena grinned, she should probably check if that actually was her. It was surprising how many people she knew had green hair! Ximena skipped merrily down the aisle and stopped a few feet from the green haired girl. Casually enjoying the delights of the star festival now that some pressure was finally taken off her shoulders, her recent efforts to keep herself clean for the eyes of the league and interpol were baring fruit and she could finally give herself some free time and comfort. Right now she was just paying for some salt and pepper shu-mais that were decorated with food colouring for a 'starry' effect given the festivals theme. All the same they seemed rather delicious and she was eager to try them, lifting one of the small tasty meats to her lips when her eyes shot across to the approaching woman, surprised to see one of her employees here, but finding them exceptionally hard to miss all the same. "Ah dear Ximena!~ Are you enjoying the festivities?~"
Ximena grinned at her boss, who looked stunningly relaxed today. Looks like she was enjoying some of the festival food as well. The blonde didn't know what it was but it looked really yummy so she stopped to buy whatever that was. She totally didn't expect to find her boss here but maybe this would be a perfect opportunity to get to know personally and not hack her mainframe to read about it. Ximena happily nodded as she ate her strange treat. Then she pulled out her phone and opened an app which housed a festival forum where people were submitting their pictures and stories they experienced during the event. She opened a thread that talked about some interest rare pokemon sightings around the Festival. "It looks like the festival has attracted some interestin' pokemon. I was gonna take this time to search for some. Care to join me Miss Marcy? It could be fun! Might find a really rare pokemon or something!" Ximena looked very excited, she hoped that Miss Marcy would say yes. Then they could see how well they'd work together. "Well i had meant to enjoy the festivities a little, but sure. Spending time with you should hopefully be it's own delight.~ Lead the way?~"
Ximena nodded, "No worries Miss Marcy I won't take up all of your time and I do hope for us t' get t' know one another a lil' bit better. I know my resume was quite different from what you're used t' gettin' but I can assure ya won't regret havin' me along for the ride!" The blonde lead the other off the main festival road where most pokemon have been spotted recently. Not even three minutes in and sudden something rush passed them, it was fast and it was green! "Wow look at that thing!" It was obvious that whatever it was it was running from something, but Ximena didn't really care about what was chasing it. She only wanted the green zippy doodad. It was cute! Ximena reached into her shirt and pulled a ball out of there, then she tossed it into the air. Out came a little horsea. "Reina baby! Good t' see ya love. We gotta pokemon catch," the horsea gave a highpitch battle cry as it was ready square up with the green speedy pokemon that turned out to be a Minior. "thata girl! Alright let's start it off by gettin' that things attention. Use Dragon dance!" Suddenly a pinkish red aura surrounds the blue seahorse pokemon as it begins to dance. This definitely catches the attention of the Minior who seemed to be very curious now. Hook line and sinker, this pokemon was gonna get caught reel good! "Alright babe, let 'im have it! Use Dragon Pulse." The poor thing didn't even realize it until it was too late, at close range a light green beam was charging in the Horsea's mouth. And before the Minior realised what was going on, Reina fired the beam point blank. 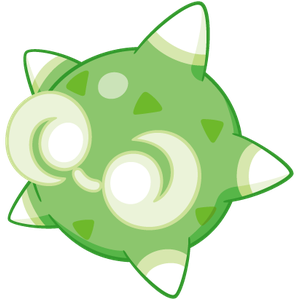 It was a direct hit as the green comet looking pokemon flew back and fell to the ground. The powered up shot was more than enough to keep the Minior down. Ximena took out a ball and tossed it at the downed pokemon. She grinned and turned back to Marceline. "So Miss Marcy what can you tell me about yourself? I mean I know what I know, but I what I want hear how you view yourself." She pauses and sees something moving behind the woman, looked like another pokemon. "Looks like we got company"
Once the Pokemon was captured, she offered a light smile, crossing an arm over her chest, balancing her other elbow in the former's hand as she gestured vaguely. "Oh you know, traveled to a distant land because I was bored.~" All true without too many details offered. "Why don't you offer your own story first though dear?~ Seems only fair the employee shares their details first n-" She paused, turning her head around at the sound of a Pokemon's cry, smirking and releasing her own pokemon from her belt. "Excuse me a moment.~"
The Wigglytuff's cries made it an easy target to spot, the Lileep Marcie sent out attacking it rather quickly, its pink tentacles shooting out and dragging the Wigglytuff back against it, rendering the Pokemon majorly immobile and starting to slowly suckle the energy from it, pulsing slowly as it drained the opposing Pokemon's energy, any normal attacks it had were blocked by it's rocky typing, and the constant draining offset the damage, Marcie letting another flash of red attempt to catch the Wigglytuff afterwards. Collect to trade for Easter Points that you can spend! I'm about to crash your party! Ximena placed the ball away and also calling back her horsea, that was great now she had a living testament to her adventures at the Star Festival. She grinned at Marceline, very proud of herself obviously. Well that seemed to be very straight forward and welll, boring to say the least. There was obviously more to this than meets the eye, Ximena would have to press the right buttons is all. The Marceline was suggesting the blonde share her story first before the Wigglytuff made itself known. Ximena stood back to watch her boss catch the round pink blob of a pokemon. That pokemon...those ancient pokemons were really scary as all hell. It gave her the creeps just watching it drain the energy outta the poor like squishypuff. But it seemed to fit Marceline pretty well, up front she seemed like a sweet sweet treat. Then you bite into said treat and you find out it's been made with 5 alarm hotsauce. Instinctually Marceline was someone people should bea afraid of, however while most people would share the sentiment it made the blonde more curious. How far was she going to get into this? As far as she can if she was honest with herself. Once the pokemon was caught, the young woman apologize. "Don't worry about it Miss Marcy. Hmm so what should I say about myself?" She thought about it for a moment, well she didn't need to know her childhood or anything that seemed relatively unimportant compared to anything else she could share about herself. She also didn't need to know what she was doing now, she already knew that. They were here because Ximena was a hacker, a damned good one that broke into her house and basically asked for a job right on the spot. Hmm what should she share with the other then? "Well~ I was born n' raised here in Veria up until I was like 16. Then I left the region and travelled around for a bit,I ended up in Kanto where I interned at Silph Co. I learned my technological trade with 'em. After a while I got bored so I started hackin' people as a hobby. I found out I like hackin' a lot more so I left my job at Silph and came home to do that more seriously. And you know the rest!" Ximena had roaming around the field just a bit, before she could ask her boss to share her story she accidentally kicked something in the grass. She looked down to see a very confused Beldum? She tilted her head, something wasn't right about this little guy. "Woah! That's not what color you're supposed to be! Now I gotta catch ya!" Ximena pulled out a different ball and out popped a Malamar. Calamarie was one of her first pokemon and was her darling dearie of a pokemon. Most people were terrfied of the pokemon but Ximena herself thought they were just adorable. "Sweetie! Let's catch this weirdly colored beldum okay?" The Malamar made a strange clicking sound that sounded very alien-esque for some reason or another. The Beldum looked up and saw the Malamar looking sinisterly at it and it started flailing about in fear. Ximena laughed, this thing looked so stupid and it was cute. "Haha look at it flail! Cal make this quick okay? Use Superpower on it." 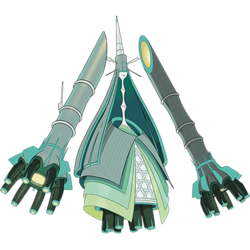 The Malamar nodded and looked down at the lil Beldum, and outline of blue began to cover the Malamar and all the tentacles on its body started waving around, the two larger ones that were its appendages grabbed the small little steel pokemon and pulled it up unto the air and slammed it down to the ground as hard as it could. The ground underneath the pokemon caved in, from behind Ximena shot out another pokemon who was running for it life and away from the Malamar. A little Whismur, Ximena paid it no mind however because she only wanted the silver colored Beldum. As soon as she was certain that it was outcold, she pulled out a ball and attempted to catch the pokemon. Marceline listened to Ximena tell her own tale with some interest. Silph Co hm?~ Having someone on the crew with inside knowledge of such a company would certainly come in handy one day. At the comment of knowing the rest she couldn't help but give a light giggle, nodding at along. "Aye that I do miss Vasquez. You decided it would be a good idea to hack one of the most powerful crime presences in the region, and have the audacity to come to her looking for a job afterwards. You certainly have courage I'll give you that.~"
Unaware of where her lileep had gotten off to, Marceline was thinking of how to give Ximena a little more to chew on, her prehistoric plant meanwhile finding a noisy little pokemon that was whimpering off alone, for some reason clutching a small little egg. With a malicious smile in the darkness of it's hooded head, the pokemon sloooowly stretched out it's tendrils, taking the Whismur in it's grasp and begining to slowly drain it, muffling the pokemon with several tendrils wrapped over it's mouth for safety so it couldn't cry out for aid. Marcie, unaware of her pokemon currently sucking the life out of another behind some bushes, thought of what to say to give Ximena a little more trust. "Well, as you can tell from my accent I myself come from Kalos, I lived a nice life, certain talents of mine meaning i had to work for very little but...well, I may be sharing too much.~ Suffice to say I came here for a more interesting challenge in life, and so far the region has proved sufficient in delivering that...oh hello dear.~" Just as Ximena was finishing up her own battle, the Lileep emerged with the whismur in it's grasp, holding out the drained pokemon as Marcie took the egg from it's hands, curious as to what it was, but shrugging and tossing it across to XImena. "May be a collectible from the festival it stole. May do you more good than me, could sell it online, who knows.~"
There was indeed something ominous in the air. For all the fun and jubilation, strange things had already been seen. As the Pokeballs of the pair’s new capture dinged out, a strange low sound would reverberate through the area. Something large had just shifted about— perhaps a Slaking or Rhyperior had awoken? No, too big for even that. Thud. Thud. The ground was shaking more now. The crackling of trees snapping could be heard. Thud. The yelp of something much smaller and much more fearful echoed over and over as it ran away. Thud. Thud. EWWEEEEWWWHHHHEEEEEEEEEEEEEEEE. The creature came from not too far off bursting through the trees and slamming them with massive jet propulsion-like arms. They snapped and fell like twigs. Its expression did not change. It moved forward on its jets, landing hard and looking around again. Landing hard and looking around. Thud. Thud. Thud. Annoying things…. So annoying….. So annoying. So frustrating….. Where was it again? Strange and lost…. Strange and lost… Another incomprehensible sound reverberated from it. Ximena did that silly anime girl troupe where they pretend to be dumb and knocked on her own head with tongue sticking out just a bit. Just being over all cheeky with the green haired woman, she was an interesting character. So serious and refined, like all those girls from her prestigeous school they were nice on the outside but they weren't afraid to rip you a new one. Ximena learned a lot just by being near those girls. "Ah well~ It certainly worked out in your favor!" It certainly worked out in hers, new allies and a good paying job and what not. As Ximena went to pick up the ball of her newly acquired friend, there indeed was something strange in the air. There was this sound, a reverberation in the wind that sounded like low mechanial whalelord sounds. Ximena stood up, what was that sound? "Did ya hear that Marcy?" Suddenly the ground started to rumble, it felt like an earthquake was taking place but no such thing was expected or anything. It sounded more like....footsteps. There were sounds of pokemon zipping past them, they weren't even acknowledging the two humans there in the field. They were frightened by something, proabably whatever made that noise. It was unlike anything she ever heard! It must be scary if pokemon of all kinds are running away. The ground quaked violently as whatever was making the thudding sounds was encroaching into the fields. Ximena fell back on her bottom and yelped as the ground continued to shudder under the massive girth of whatever it was. And as the shaking reached a fever pitch, a colossus of a creature tore out of the nearby forest, the trees oh the trees! Their trunks twist and snap so easily as the massive shapes that moved around the monstrosity. Ximena couldn't even begin to describe what just transpired, she couldn't even begin to figure out what the hell she is seeing. It looked like a spaceship made of catherdral stained glass, the shapes at its sides almost looked like propellors and seem to kind of work that way as it slams into the ground and looks around. Ximena was up again and trying to keep her balance but this giant....thing wasn't making it easy! And then it made that awful sound, it was like someone face desked an old organ with only half working pipes. "Holy Arceus what is that!?" Ximena covered her ears, shielding them from the near ear splitting scream the thing emitted. She noticed it looking around, was it like looking for something? She looked up in awe at this thing, aside from it being weird and horrifying. It was kinda cool, it was right up Ximena's ally for preffered pokemon and she was totally digging it now that the initial shock had worn off. "Is that a pokemon!? 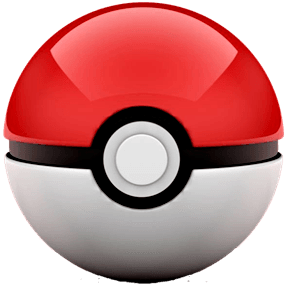 We should catch it! Something that big must be powerful." Marceline's eyes shifted towards the approaching noise, quirking a brow as she prepared herself for a rampaging Rhyperior or some such, but what eventually came crashing towards them was far different than anything she'd seen before, jolting backwards, her Lileep screaming as best a plant could and running off to hide somewhere behind an unused stall from the festival. Marcie would reprimand it later, but it wasn't exactly like she could blame it. This thing was big and...unusual! When Ximena spoke about capturing it however, Marcie didn't see much reason to disagree, though her reasons were somewhat different. "It could be good for the foundation of we publicly discover a new Pokemon...then again..." Recalling all the reports of ultra wormholes lately, Marcie grinned all the brighter, unleashing her Delphox, assuming a steel typing from the Pokemon's appearance. "If this is what I think it is...I just might have something for it. What do you say Ximena? Shall we see how you work in the field?~ Bring this in for us and you may be seeing a bonus next week.~"
The Celesteela didn’t actually seem to register the smaller beings before it. It shifted, listening around carefully, but when its incomprehensible bellow was not returned in kind, it let out a frustrated whine and started to move again propelling itself up a bit and starting to ‘hop’ forward— literally about to crush both humans and their Pokemon if they didn’t get out of the way fast enough. Two tons of steel crashing down would not be a fun thing to say the very least. Was it... perhaps a bit blind? Well it certainly didn't have eyes like some would expect to see, anywyas, but maybe under that hat? Similar to Ralts? Eh, who knew. Ximena didn't hear a thing that Marceline had said as the creature let out a more angry sounding screech, she covered her ears as they began to pound from the all the noise. She called back her Malamar, she was going to need something a little bit bigger to take that behemoth down. Before she could pull out a different ball, she saw the creature moving forward and towards them. They were all going to be crushed if they didn't get out of the way! There wasn't really time to think as she turned back to Marceline her Delphox, Ximena lunged forward and downward to pick up both the green hair woman and the firefox of a pokemon. She strained herself to move sideways with the combined weight to get the three of them out of the pokemon's path. Once they were out of way she quickly let them down before falling to her knees. "I don't think that thing can see. Gonna need Brick for this job..."
The blonde sighed and fished another ball out of her shirt, she tossed it more outwards and away from the two. The light expanded and grew to a large size that was similar to the strange pokemon. The light faded to reveal a steelix, looking large and in charge for a battle. Ximena finally got to her feet and dusted herself off. She still felt her arms thumping with pain just a bit, this was one of those instances where she wished she was a little bit bigger and taller. "We should probs get out the way, more than we have now. But I'm ready ta take that thing down when you are Miss Marcy!" Though pained, there was hint of anticipating in her voice. She was really gung-ho and not the least bit frightened or worried. This little adventure had gotten way more interesting than she initially thought it was going to be.